Jennifer Rankine - (Haggs Castle) is a past Junior Champion, Haggs Castle Club Champion and previous Schoolgirls' Champion. She is in the Senior County Squad and was in the team that won the Scottish Team County Championship in 2017 and the winning 2018 RLCGA County team at the West of Scotland Jamboree at Erskine. She has also represented Scotland in many Girls Events. 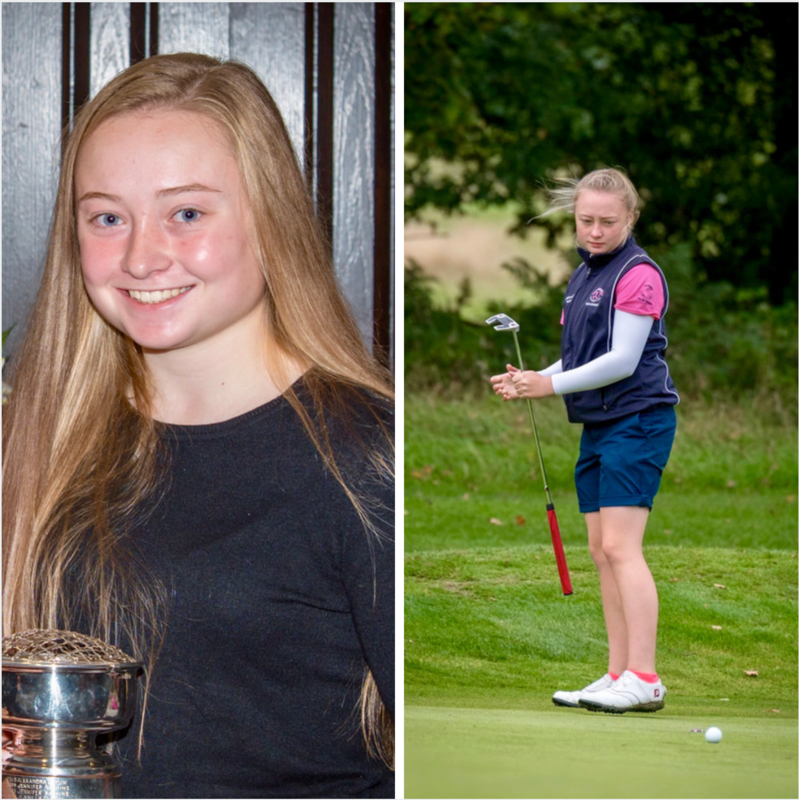 This year she represented represented Scotland in the Sweden in the European Girls Team Championship and the 2018 Girls Home Internationals in Ballybunion Ireland. She is one of our most promising Juniors playing off a handicap of 1. 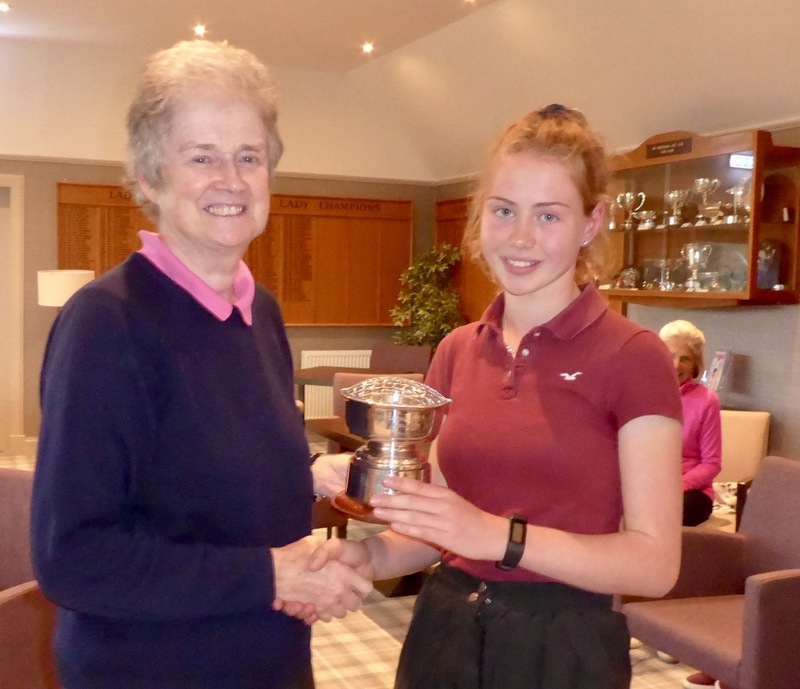 RLCGA junior Romy Erskine from Kilmacolm played in the Scottish Golf Under 18's Strokeplay in Lossiemouth in July 2018 and qualified for the matchplay handicap stages. Our other junior Jennifer Rankine (Haggs Castle) qualified for the Main Championship and made it through to the quarter finals where she lost to the eventual winner Hannah Darling. 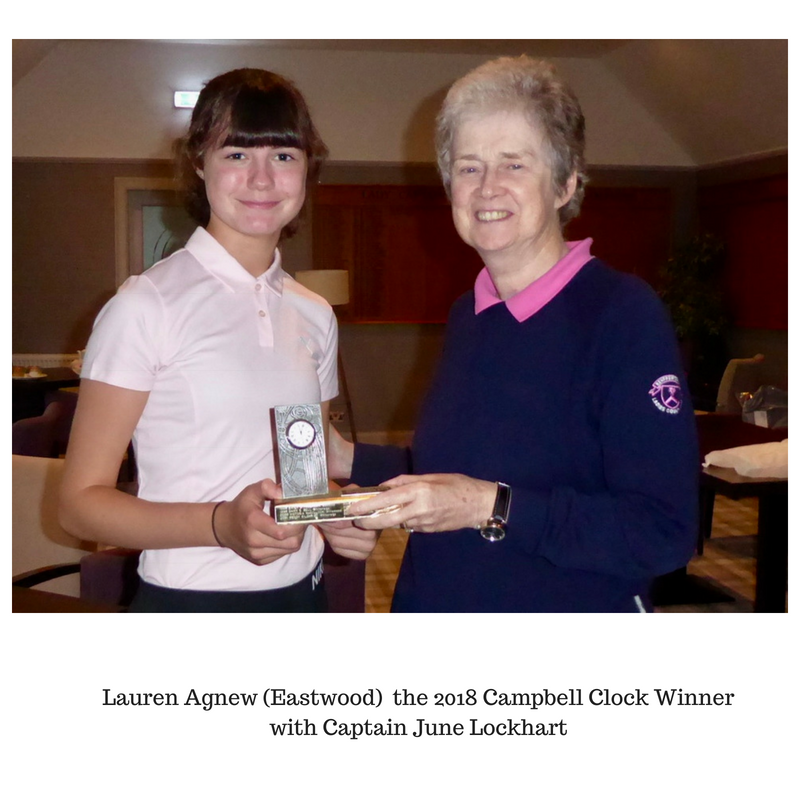 In 1998 Renfrewshire Junior Secretary, Leslie Campbell presented the Campbell Clock to be played for by Junior Girls in a Stableford Competition at Whitecraigs Golf Club. After Leslie died in 2002 the competition has been played annually in September. handicap - 18 Holes Stableford for Campbell Clock Trophy. Girls without a handicap - 9 Hole Par 3 Course. plus a Putting Competition for all girls. Our 2018 County Champion Eilidh Briggs won this trophy in 2003. Lauren Agnew from Eastwood Golf Club is the current holder of the trophy. The Kennedy Salver is a Junior Inter County Team Tournament which provides girls from the four West Counties with experience of match play. The Juniors have enjoyed training get togethers at the Paisley Golf Club with Professional Clare- Marie Macaulay leading the coaching. Gillian Kyle, along with Clair Barclay, Liz Hale, Gill McLeod and Lynda Bradley have all been helping with all the sessions. Gourock, Cowglen Golf Academy, Caldwell, Kilmacolm and Williamwood have been the other venues for the 2019 Junior Squad Coaching.